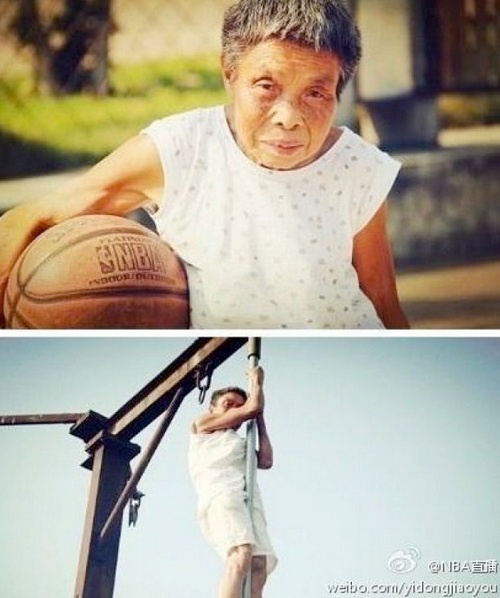 Zhu Shumei, 76, China’s Basketball Grandma getting her endurance training in. *Some of our elderly are so strong we actually look forward to growing old. They are the reason we have the sayings “50 is the new 30″ and so on. They use their old school rules with the new school look and are a force to be reckoned with. Zhu Shumei is a Chinese, 76-year old grandmother who became a single mother at the age of 54, when her husband divorced her and she became the sole caretaker for her mentally disabled daughter. But, none of that got her down. She was fired from her job at the library and took to the basketball court for a release.